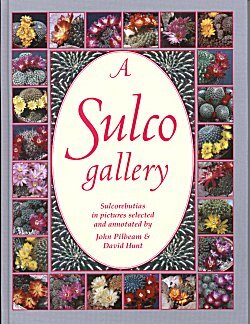 Size 21 x 28cm, 64 pages, 238 colour pictures of which 10 are Bolivian scenery, a map of the Sulco area in Bolivia, cultivation tips chapter, classification chapter, indexes of photos of this and the recent German book on Sulcos. For anyone interested in this very variable group of plants, this is valuable illustrated documentation of the appearance of many plants grown under field collection numbers. The modern 'lumped' species concept has unfortunately become a poor tool for horticultural collectors to label their plants which has left the collectors number method as the method of choice, albeit one that results in hard to remember tags for the plants.